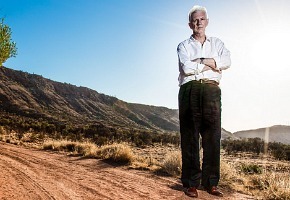 Foxtel’s look at the lives of Australia’s State and Territory Coroners Outback Coroner, begins with Northern Territory Coroner Greg Cavanagh. This 8 x 1 hour observational documentary series follows the coroners investigating unexplained deaths from Alice Springs to country New South Wales and Tasmania. Produced by Screentime, it is narrated by Richard Roxburgh. With jurisdictions covering a vast expanse of outback Australia, the coroners are called to inquire into unexpected and unusual deaths on behalf of the most isolated communities across the country. Outback Coroner takes viewers beyond the courtroom and directly inside the mindset, lifestyle and challenges confronting the coroners, as they analyse forensic evidence, order autopsies and conduct inquests in search of answers. With approximately 18,000 deaths reported to coroners across Australia each year, the series also explores our fundamental human need for closure after the death of a loved one and fellow human being. The premiere episode follows Northern Territory Coroner Greg Cavanagh, as he investigates the mysterious death of 17-year-old Ben Witham, a death attributed to arsenic poisoning at Witham’s family home, the Mount Bundy Cattle Station. As Cavanagh is forced to close down the cattle station, a popular tourist destination, what he goes on to uncover during his inquisition is truly astonishing, bringing in to question the validity of two previous government investigations across two state borders that nearly destroyed the grieving Witham family and crippled their business. Outback Coroner is produced by Screentime, a Banijay Group company, in association with Evershine and is exclusive to Crime & Investigation Network. Monday, December 9 at 8.30pm AEDT on Crime & Investigation Network.